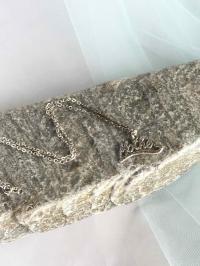 "Diamond Dust" necklace with "Mother" pendant. 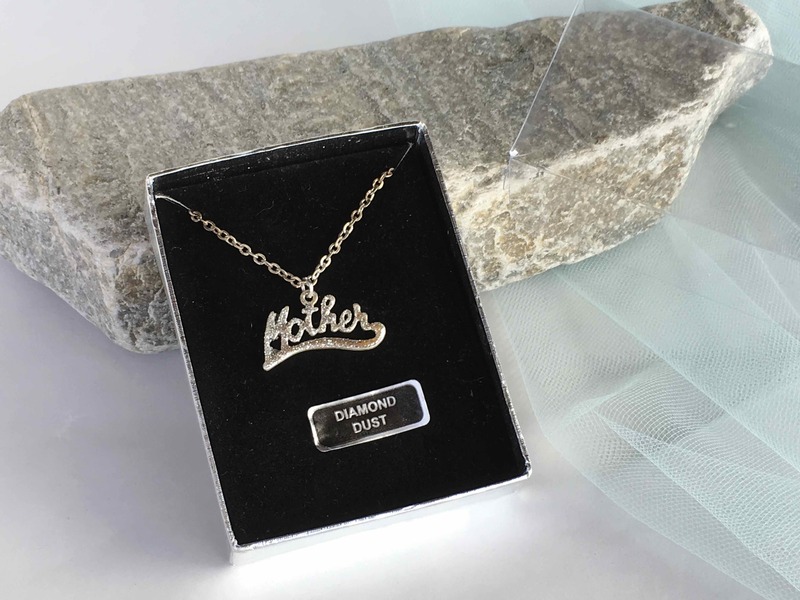 Silver colour fine chain and sparkles of "diamond dust" on the word Mother. 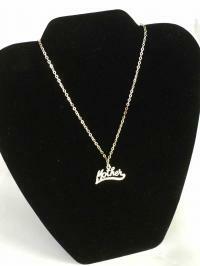 � Shopping early � for birthday's,Mother's Day, Christmas etc. 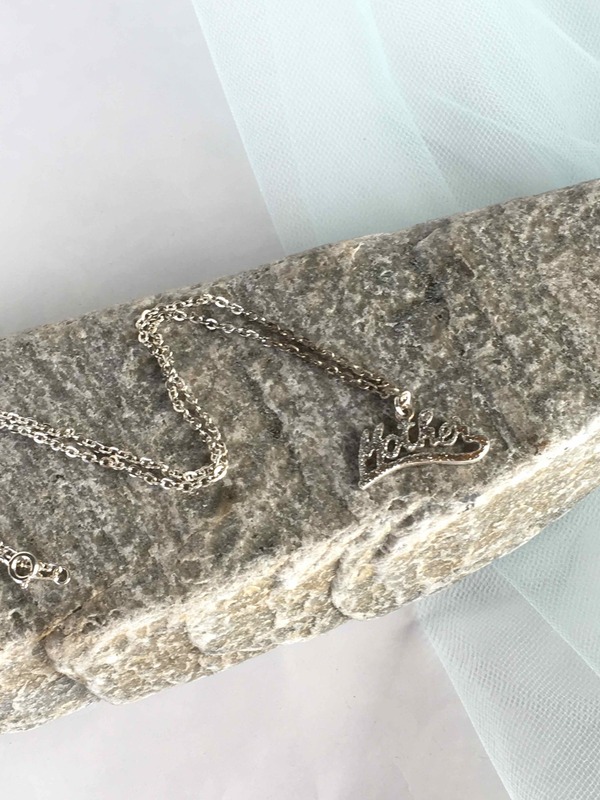 so you don't have to find a gift at the last second!